Pictured Walkinshaw Andretti United will be effective of 2018. Walkinshaw Andretti United will be effective of 2018. Our Team is thrilled to be entering the next chapter of its great, proud history, alongside two iconic brands who are both entrenched in motor sport around the world, combining forces to create a new racing enterprise. Walkinshaw Racing Chairman Ryan Walkinshaw said creating Walkinshaw Andretti United is a game-changer in the Supercars landscape. 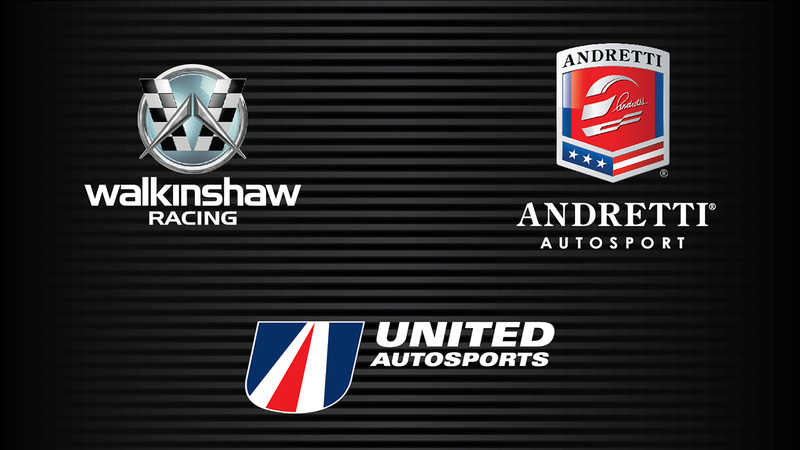 “To be able to partner with both Andretti Autosport and United Autosports is an honour,” Mr Walkinshaw said. “We’ve looked from afar at what both have to offer the team moving forward, which is why everyone should be so excited. “Fundamentally, we are doing it differently. This combination of international expertise is a pivotal step in accelerating our development, getting us where we need to be. “We’ve been looking for partners who can add value to this team, both on and off the track, so to find that so resoundingly is the most pleasing element. “It’s not only an alliance of technical expertise, but commercial prowess. Their experience, knowledge and record, both on and off the race-track, gives us, our current partners, and any future partners, access to global networks and talent pools. This new racing partnership is pending board approval from Supercars. In the meantime, the team will be focussing on continual improvement during the Supercars current season whilst gearing up for a strong start to the 2018 Supercars Championship. Andretti Autosport was born in 2009 by second-generation racer Michael Andretti, who has been raising the bar as a driver, team owner, and businessman throughout his illustrious career. The four-time IndyCar Championship and two-time Global Rallycross Champion team is based in Indianapolis, Indiana. Andretti Autosport boasts a wide portfolio rooted in tradition and history, designed for success. The team holds five Indianapolis 500 victories and fields entries in the IndyCar Series, Indy Lights, the FIA Formula-E Championship and the Global Rallycross Championship. United Autosports was founded in 2009 by Zak Brown and Richard Dean, experienced in a vast range of championships and areas. The team are the reigning European Le Mans Series LMP3 Champions and currently lead the championship with one round remaining. The company boasts four IndyCar Series championships (2004, 2005, 2007, 2012), two Indy Lights titles (2008, 2009), one Pro Mazda championship (2013) and one USF2000 championship (2010) and has captured victory five times at the famed Indianapolis 500-Mile Race (2005, 2007, 2014, 2016, 2017). Additionally, the team holds two X Games Gold Medals and two Global Rallycross championship (2015, 2016). United Autosports is a world-class race and championship-winning team owned by American businessman, Zak Brown and British racing driver, Richard Dean. United Autosports are current European Le Mans Series LMP3 Champions after clinching the title in 2016 with three wins and five podiums out of six races. After winning the 2016 title, the team expanded into the LMP2 class, along with continuing with their LMP3 programme for 2017. The team work in association with some of the most famous names in motor sport with drivers such as Martin Brundle, Mark Blundell, Stefan Johansson, Johnny Herbert, Arie Luyendyk and David Brabham having driven for the team. United Autosports have raced successfully in various international events, such as the British GT Championship, Spa 24 Hours, Blancpain Endurance Championship, Bathurst 12 Hours, Abu Dhabi 12 Hours, Dubai 24 Hours, British Touring Car Championship, Macau GT Cup, Intercontinental Le Mans Cup and the Daytona 24 Hours. They are well-known for racing across the world in America, Australia, Asia and Europe.